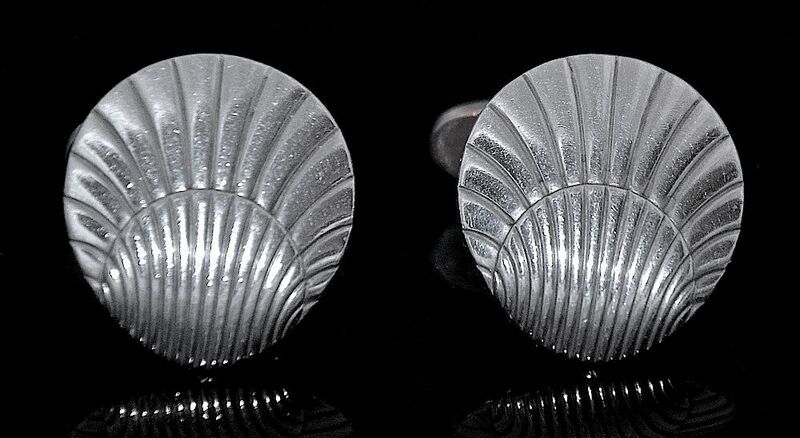 And yet another pair of elegant silver cufflinks by Georg Jensen! 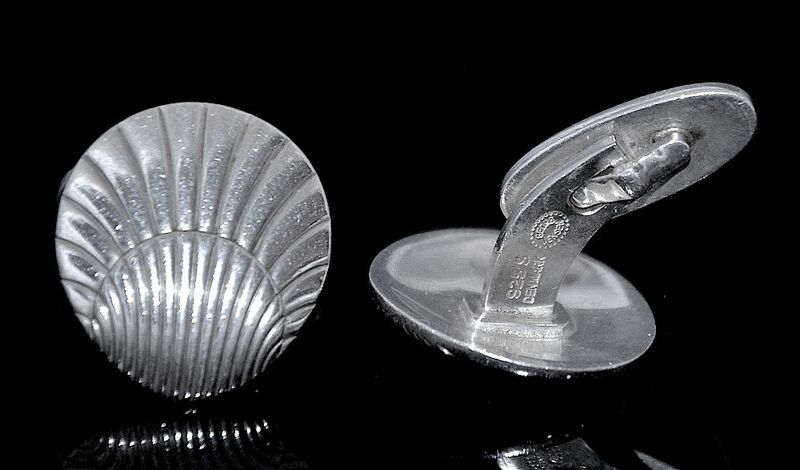 Each top is designed as a scallop shell and has a curved arm with a "whale tail" fitting. One side of each arm bears the oval dotted edge Georg Jensen cartouche (1945 to present day) and "925 S Denmark" and the other side is stamped "66".